I loved this movie and so did the hubby! That really says a lot, since he hates horror and didn't really want to watch it but I made him anyway. I happen to love horror and was on the fence about how I thought this one would turn out. I had been disappointed a few times over the franchise period, but not this time. It was such an intense film! Killings around every corner! Literally! The only gripe I have is the predictability in who would get killed. We took one look at a character and knew his or her time would inevitably end soon. That was annoying and yet comical. Yup, a good one if you like the original Halloween, (let's just leave out the few in between). Also a great watch for horror fans! **Compensation may be earned from the link within. A copy was provided to facilitate a review. Freda's Voice is not responsible for the prize shipment, lost, damaged or stolen prizes. Opinions are owned by Freda's Voice. I have seen the original Halloween and am looking forward to seeing this one. I don't have a favorite Horror film. I have seen the first Halloween film and the 2018 Halloween movie. Both movies are fantastic. If I had to choose a favourite horror movie it would probably be The Shining. Fantastic choice! The Shining has always stuck with me also. I've seen the first 3 Halloween films. I like the original one most. My favorite horror movie is Stephen King's Misery. LOVE Kathy Bates, and Misery!! Great choice! 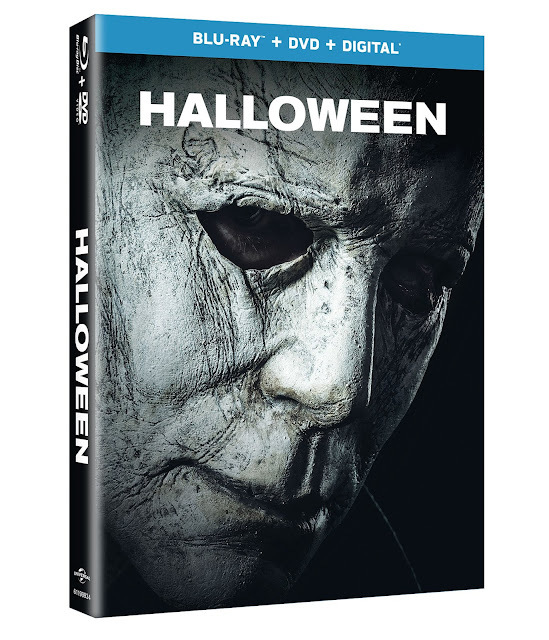 I have seen all of the previous Halloween films in the original series except for Part Six, "The Curse of Michael Myers' with actor Paul Rudd. I also saw the two Rob Zombie-directed movies but thought they were awful! My favorite of the 'Halloween' films is the original with Jamie Lee Curtis, but Part Four is a close second. My favorite horror film is 'Nightmare On Elm Street Part 4: The Dream Master'. I have watched several Halloween movies. Love them. I loved this one. Just picked up the movie on DVD! The original was so fresh for the time and so well-done. Did you listen to the podcast on the new movie? It's called Halloween Unmasked. They did a ton of interviews with everyone and really broke down the franchise and why it's a classic.